We're happy to announce that the migration of outposts and conquerable stations to faction citadels will occur during an extended downtime next Tuesday, June 5th. Moving more than 53,300,000 inventory items. Moving more than 75,800 market orders. Moving more than 33,000 contracts. Taking care of more than 240,000 bookmarks. Several tests have been carried out on mirrors of Tranquility's database to ascertain how long this will take, and rough estimates right now show that it should be within around two and a half hours, with the addition of a number of other downtime jobs and changes that need to occur. Tranquility may be online and accepting connections earlier, or later than expected, depending on database performance. Please keep an eye on the @EVE_Status twitter account for details of this downtime next Tuesday. There'll also be a forum thread on the official forums to discuss this on Tuesday while the migration is occuring! 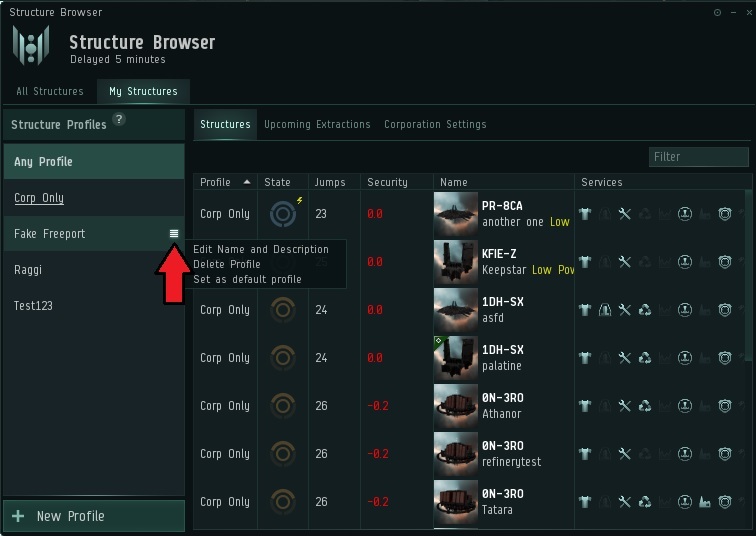 Ensure you have preset a Default Corp Profile (details below). Ensure you have preset a Default Reinforcement Time and Day (details below). Be ready to fit your structure. Since the March release, it has been possible to set a Default Profile for a corporation. 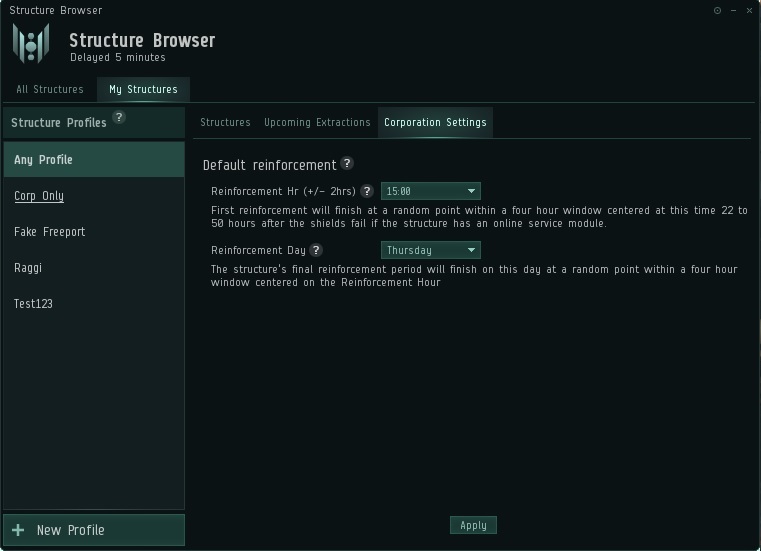 This profile applies to any newly deployed structures, but is also the ACL profile that will be applied to the Faction Citadels during the Outpost Day event. To set a Default Profile, right-click against the profile you choose and select "Set as default profile". The Invulnerable mode will last until Thursday June 7th. On June 7th structures will enter their standard shield vulnerable state.